Wednesday, Oct. 7, 2009 at 5:30 p.m.
donate 20 percent of the evening’s sales to Stamford Hospital’s Mobile Mammography Program. by Stamford Hospital and other community partners. 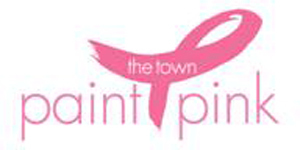 Each October, Paint the Town Pink stresses the importance of breast cancer screening and early detection, and spreads the word about the comprehensive breast cancer services available right here in our community. Please call (203) 276-6143 for more information, and visit www.paintthetownpink.org to see the complete 2009 Calendar of Events.